My third annual beer ticking pub awards. As I’ve said in the past, I’m a beer ticker – I like to try as many different beers as possible and as such I’ve ranked my top ten pubs in order of the number of ticks that I’ve had there. I’ve not included beer festivals. Ticking isn’t the be all and end all of pub life, but it just so happens that I rather do like most of the pubs I’ve visited. Bit of a turbulent year for FoH – after a few business troubles earlier in the year, they’re now owned by someone else and sadly, the beer list isn’t quite what it was, although it’s still great. I understand that the current owner is looking at selling it on, so let’s see what next year has in store. Climbing up from 9th last year, they’re still their with great beer and staff. 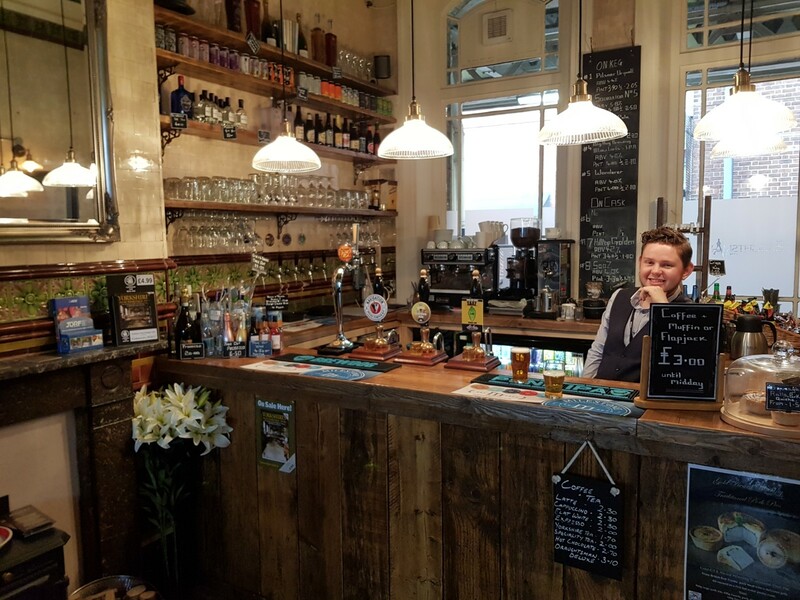 Huddersfield’s a strange place for beer – pop along for a beer in any of the decent beer bars on a weekday afternoon and there’s always folk just there enjoying beer in a chilled atmosphere. The Corner is certainly one of these bars. Climbing slightly from last year, Doncaster Brewery Tap don’t really focus that much on guest beers, but more on being a tap for their own brews. However, with a regular guest, some amazing keg guests and beer festivals throughout the year, they’re still in my top ten. If I could work out a way of factoring in a way of staff personalities instead of number of ticks per pub then they’re be way up the list. Incidentally, if I’d had just one more tick here, they’d be in joint 3rd , and another 4 then in second. I’m not really sure why this is Foley’s first time in my top 10, but again, the combination of great staff and a good range of keg and cask beer prevails – there’s often up to 30 boxes of battery acid (sorry, cider) for those who like to indulge in such beverages. 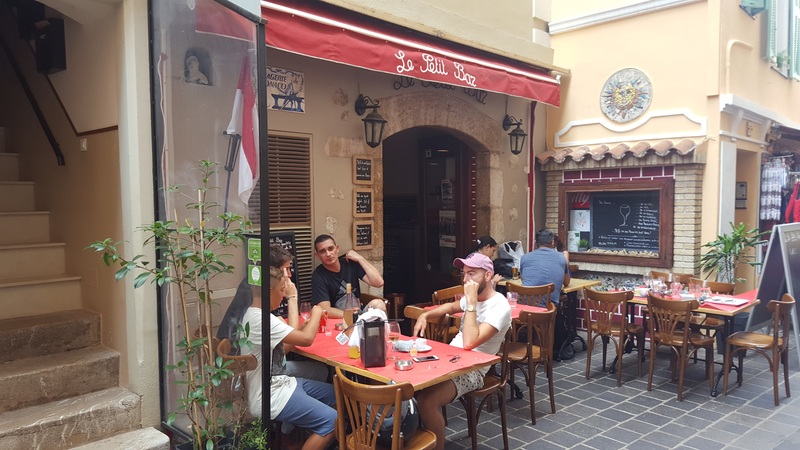 Outside of peak hours, they have a really chilled vibe – even in the week leading up to Christmas, I popped in one afternoon and there was a real cool vibe with just some really chilled out music instead of Jingle Bell Rock being played in a loop. Sadly, they went into administration late in 2018 but have since been bought by Black Sheep Brewery. The bar has a brilliant location and the ‘concept’ is fantastic – I just hope they don’t start messing around too much. Climbing slightly from last year, this non-cask ale pub still never fails to impress. Now they’ve been open a year, they’ve climbed up to 7th place. Always a good stop off to sup beer elsewhere! Still in 8th place with good beer and the pies. Oh my, you must try the pies! It’s only recently that I’ve started frequenting the Turks Head, but once again, good beer and knowledgeable staff seem to be the key. 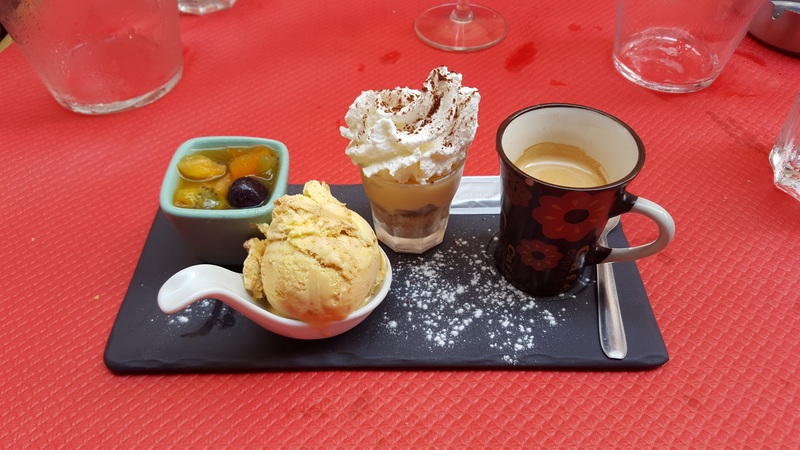 Oh – and brilliant food with just that bit of a classy feel. Well – they’ve fallen from from being in the top one or two down to 10th. Why? For me, the biggest problem is that they don’t serve thirds (unless the beer is quite pricey). There’s only so much beer you can consume in one day, so I’ll generally go to places that serve thirds, and once I’ve ‘cleared up’, then might go to Tapped before the train home. 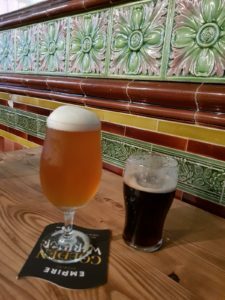 Box Social, Newcastle – too many great beers! 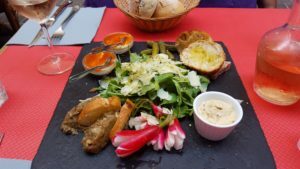 Maison du Biere, Elsecar – another of those places I ‘just like’ but included especially as they won a Barnsley CAMRA Pub of the Season even though they don’t serve cask ale. Well done! Once again, only three pubs are in my home town of Doncaster – it’s a bit sad really that I have to travel so far from my home town. Well done to the Doncaster guys – you’re passionate about what you do, but can’t you work miracles and do something about the dire state of beer in the town? Oh – and if any of the winners would like to buy me beer, I wouldn’t say no! 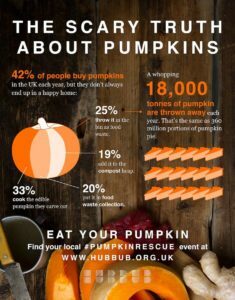 According to Pumpkin Rescue, 18000 tonnes of pumpkin are wasted in the UK each year – that’s quite a few meals. So far this year, we’ve had at least six meals with our first pumpkin and there’s enough in the freezer for three or four more. Most of these recipes will work with frozen pumpkin cubes, and they’re generally better in the sauce based dishes. So – what have we had? Pumpkin soup – the old favourite. Pumpkin, sauteed in a touch of oil with onions. Add some Jamaican all purpose seasoning and allspice (if you wish) along withe some stock and milk and then blend when cooked. Add a touch of creme fraiche and salt & pepper if needed. White pumpkin chilli stew – a different take on a traditional chilli con carne. Sautee some onions until soft but not brown. Add cubed pumpkin and sautee for a few more minutes. Now for the interesting bit – finely chop a chilli of your choice – I usually use a super-hot such as a Carolina Reaper or a Trinidad Scorpian. Use as sparingly as you see fit. Then, add some Jamaican all purpose seasoning, salt & pepper, milk and a little stock and cook until the pumpkin is done. Add thyme and borlotti beans or sweetcorn (or both) and contintue cooking until they’re heated through. Serve with rice. Thai curry – choose your favourite Thai curry sauce, add thinly sliced chicken, pre-stirfried onions and pumpkin and peas. Italian pumpkin pasta sauce – roast or sautee cubes of pumpkin until brown. Add milk, cook until done and blend. In a separate pan, sautee onions until brown, add Quorn mince until that starts to brown too then add smoked paprika, mace, salt and pepper and stir in the sauce. Cook until the harshness of the mace is cooked out, add cooked pasta – tube types work best along with some peas (I like peas! 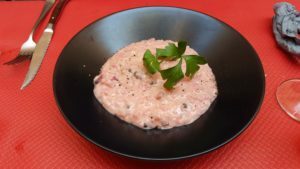 ), perhaps some creme fraiche and a touch of milk or water if it’s too thick, heat through and serve with a shaving of parmesan. Pumpkin rice one pot – sautee pumpkin and carrot cubes, until starting to brown, add thinly sliced onions. When they start to brown, add rice and continue to cook for a few minutes. Add coriander, cumin, cinnamon and cook for another minute or so. Add double the volume of stock to the rice, stir and add a few good handfuls of spinach or a few frozen spinach pellets. Try not to stir too much but keep an eye so it doesn’t dry out too much. Add peas at the end if desired. You can also add diced chicken at the carrot stage, or a chick peas with the spinach. What’s next? We’ve not had an Indian style curry – these work well, but I’m really excited about trying pumpkin houmous. Following on from my top 10 ticking pubs in 2016, I thought I’d take a quick look at my 2017 ticking pubs. As I said last year, I’m a beer ticker – I like to try as many different beers as possible and as such I’ve ranked my top ten pubs in order of the number of ticks that I’ve had there. I’ve not included beer festivals. Ticking isn’t the be all and end all of pub life, but it just so happens that I rather do like most of the pubs I’ve visited. Since it opened, FoH has always been my top ticking pub, although it was relegated to second place last year. This year, it’s back in the top spot. After spending a year in the top place, Tapped is back down to second. Still a great pub but the thing that lets it down is that they don’t serve beers in third pints unless they’re really strong or expensive. In this part of Leeds, there’s such a choice of pubs and bars and many of them do serve thirds so given the choice, I’ll go there first. Straight in at number 3 is the Queen. They only opened in September 2016 so didn’t make last year’s rankings but with a great selection of cask and keg and great staff and a great vibe, they’re definitely there with the front runners. The combined score wouldn’t have got them to number one this year! Still 150 different beers between the two branches but while the selection is good, the quality of breweries used isn’t always the best. Not quite sure why they didn’t feature in last year’s list, but they’re here now! Not the biggest selection out of the pubs here, but always very good quality. Aided by their beer festival and continuing guest ales from other breweries as well as keg beers now, this pub goes from strength to strength. The bar has been here a little while, but was a while before I discovered it. A little strange as they don’t serve cask – only keg, bottle and cans. Their position has been helped by quite a number of takeaway bottles. Another new entry in the fabulously beery town of Huddersfield. Just like The Queen, this fantastic pub that’s owned by the owners of Mallinson’s brewery opened at the end of 2016. Great choice of cask and keg beers, all available in third, half, two-thirds or pints, brilliant staff and tasty home cooked food. It’s always a pleasure to visit the Alex. It’s just down from Derby station and has a strong railway theme in it. I’ve seen pub cats and dogs before but they have a pub rabbit! As well as great beers on the bar, always a good stop off for train beers too. I had an eleventh place pub last year so I thought I’d do the same this year. Only opened in April, I’ve written a full article here. I wonder where they’ll be next year? So – out of eleven pubs, only three are in Doncaster. All independent, with no ties to breweries or pub groups with enthusiastic owners and staff. Says a lot, doesn’t it? Sheffield’s got one. So does York. And Dewsbury and Huddersfield. What’s he talking about? 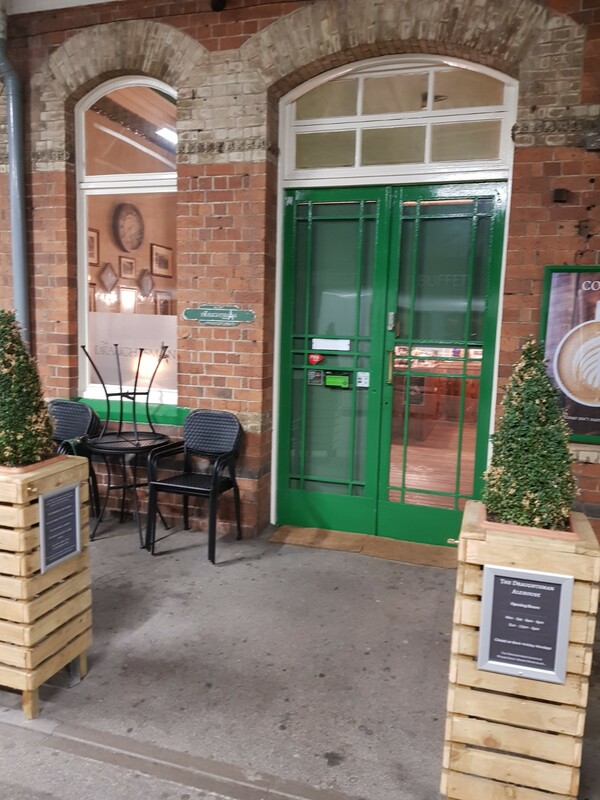 Station pubs. 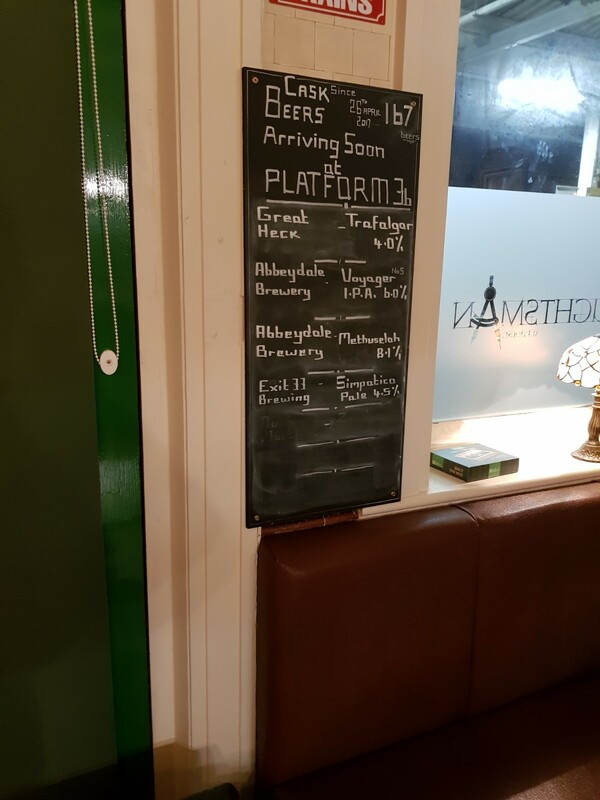 When I heard that Doncaster was getting its very own station pub I was quite excited and then became sceptical when I learnt that it was on one of the platforms. Other station pubs tend to be in the concourse area so there’s some passing trade although to be fair, Doncaster station isn’t really the sort of place you just pass (but may be after the improvements have been done). So – April came and The Draughtsman opened. Russ, one of the owners did all the work converting it from a disused store room back to its glory of when it was originally built. It’s not big inside, but there’s some seating outside on the platform. I prefer to stay inside to look at the brilliantly restored tilework and chat to Russ and Luke, his son who helps run the bar. They’ve a better beer range than many of the bigger pubs in town with 3 handpumps, 5 keg lines, bottles and GIN! They’ve had 160 different cask beers in the first 6 months or so and I’m told that turnover is so good, beers are rarely on the pumps for more than 2 or 3 days. So – what’s the secret to their success? Location may have something to do with it after all, but quite often I’ve heard of people making a special trip to go there and not just when they’re passing through the station. I’ve blogged about it before, but I think one of the key reasons of their success is the guys who run the Draughtsman – their knowledge and outstanding customer service – good beer comes naturally after this. Seeing as it’s that time of the year for my local CAMRA branch to award their Pub of the Year 2017, I thought I’d look back over the pubs I’ve visited over the last year and choose my favourites. 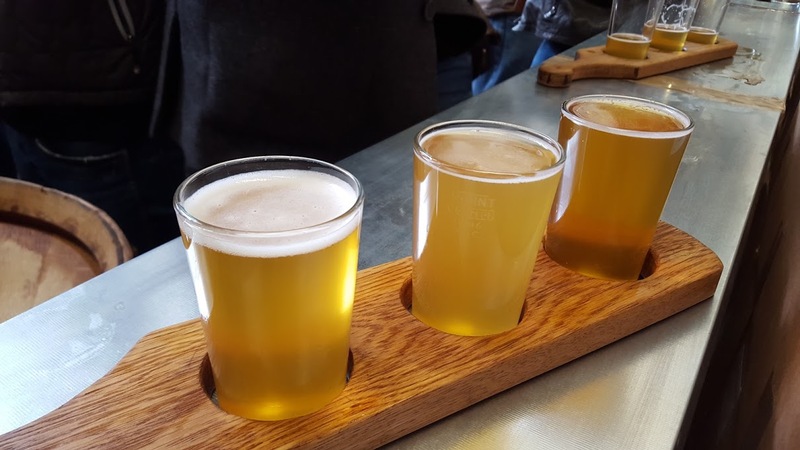 I’m a beer ticker – I like to try as many different beers as possible and as such I’ve ranked my top ten pubs in order of the number of ticks that I’ve had there. I’ve not included beer festivals. Ticking isn’t the be all and end all of pub life, but it just so happens that I rather do like the pubs I’ve visited. Since it opened, Tapped has been in my top ten ticking pubs but has never made number 1. Knowledgeable staff, good range of beers – some brewed on site, excellent home made ‘real’ pizzas and a clean and bright environment. What more could you ask for? Since they opened, FoH has been my top ticking pub each year but sadly, pipped to second place by their friends round the corner. What have they got going for them? Again, knowledgeable staff, brilliant beers and perhaps the big selling point for me – they do a taster tray of 3 or 6 beers for a set price, and that can prove quite economical for the dearer beers. Both these branches of Piw Paw are entitled to their own place in my beery top ten, but as they are very similar, I’ve included them as one. If I were to combine the number of ticks from both then they would have smashed number one place. Both have a really good selection of beers (Parkingowa have 64 and Foksal have 90-odd). Staff can be a bit surly at times but the absolute best thing they do is tasting glasses – just a mouthful – for 1zl – about 20p! Great brew pub – ever changing range of beers and convenient for Derby station. I really enjoy coming to the Sportsman. Usually the first port of call in Huddersfield, a nice spot to drown my sorrows after not managing to meet Felix the Huddersfield Station Cat. Great beers, third pints, brilliant staff and has this strange sort of atmosphere. It’s a traditional pub, but doesn’t seem to attract the sort daytime drinkers that a lot of pubs do. It’s a bit like the Belgian vibe where couples, friends and folk on their own pop in to try great beers, have a couple and then move on. JDW spent a fortune refurbishing this pub and I like it. One of the only decent outside drinking areas in Doncaster and used to have a really nice, warm indoor fire pit until some idiot decided to wreak it. Only downside is that the fairly narrow channel between the front of the pub and the main area at the back is where a lot of drinkers congregate. Very convenient stopping off point between trains. Took a long time to convince the wife that we did actually have to change at Sheffield! Sister pub of the number one place, it too has good beers and staff. Quirky little place in Doncaster Market place and yes, you’ve guessed it, great beer, great staff and brilliant food. Only a small range of beers compared to some others in the top ten but a constantly changing selection. I suprised myself at Gatehouse featuring, but it does. I dont seem to frequent as often as I used but but clearly do. As with all JDW branches, quality seems to depend on the latest manager. There’s been a change here at Gatehouse but still seems to be up and down. I decided to also include the 11th place pub as I thought it was worth a special mention. For a while, they’ve only served their own beer but now do have one guest on the bar. They don’t produce a different beer every week (much to my dismay!) like some places do, but concentrate on brewing the beers they do really well. It’s probably one of the only pubs in Doncaster that I will call in when I know there isn’t a tick – why? I don’t know – just a good blend of ambience with good cheer thrown in from customer and manager / brewer alike. This recipe is is adapted from one Rick Stein used when he visited the famous Karachi Restaurant in Bradford, one of Bradford’s oldest curry houses. Feel free to adapt it to your taste. Have a few goes at making it until you find it to your taste. Chop 3 large onions roughly and fry in ghee or oil. When onions are softened and just turning golden, whizz in the pan with 6 cloves of garlic and 2 tsp chopped ginger, a tin of tomatoes and 3/4 tin of water . When this is well and truly whizzed, add your choice of meat – lamb on the bone using small lamb chops is excellent – the insides of 6 cardamon pods and salt and cook for 30 mins or so. You could also add potatoes at this point too. If you are using chicken breast, add it after this 30 minutes cooking time. After another 10 mins or so of cooking, or when the oil starts to show on top of the gravy (yes – that’s the correct name, not sauce) add a huge handful of fresh spinach or a few ‘pellets’ of frozen chopped spinach and some roughly chopped coriander. When this is wilted and the frozen lumps defrosted and heated through, add 1tsp garam masala. I tried beetroot risotto back in the summer in Le Petit Bar, Monaco (pictures below). I liked it so have come up with an easy to cook version with a Yorkshire twist. Soften an onion in a touch of oil (I used rapeseed – olive will do) and a pinch of salt. 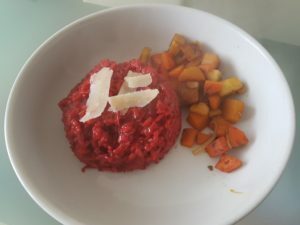 When it starts to soften, add two grated beetroot and keep cooking until that softens too. Add a knob of butter, wait for it to melt and then half a bag of risotto rice. Normally you’d cook until the rice starts to go see through, but the beetroot might stop that! At that stage, a ladle of stock from a pan you have simmering – I used vegetable bouillon but you could use chicken. When the first ladle evaporates, add another and repeat until the rice is cooked, stirring frequently. At the end, crumble in some Wensleydale (I used Tesco smoked for extra flavour) and keep stirring till it’s melted. 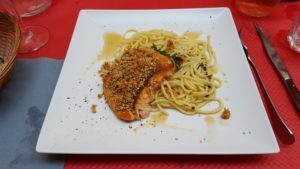 Serve with a few shavings of Parmesan or more Wensleydale crumbled over the top. A week off from work and the wife was working so another trip to Poland. 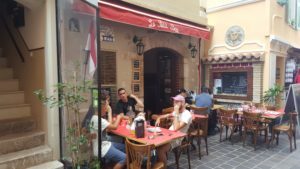 I visited a number of bars I’d been to before along with some new ones. Brewery tap for the Pracownia brewery. Around 20 beers featuring their own along with the likes of other Polish brewers and some of the big players from further afield. Not a bad bar really. On the site of an old brewery, this new brew restaurant has only fairly recently opened. They seem happy enough to serve drinks only – the food looked quite tasty too. Core range of beers – some better than others along with seasonals too. One of the small group of bars that are close by in this part of Warszawa. Serving beer from 10 keg lines and 2 handpumps, there’s a good range and the staff are knowledgeable, as they tend to be in the ‘craft’ beer places. The place can get very busy so get there early to get a good seat! The first of the Piw Paws to open, with a range of 57 keg lines, 4 handpumps and a mere 200 bottles. Fancy trying all the beers? Well, they’re open 24 hours and sell three measures of beer – 1.5l bottles that are filled using an adaptor on the tap. The more usual 1/2 litre glasses are available along with a tasting glass containing a mouthful for the princely sum of 1zl – about 20p! Each time I’ve been, staff don’t seem to mind serving multiples of these tasting glasses. Can get quite busy. The second branch of Piw Paw to open, bigger than the original serving 95 taps. Similar formula to this branch but serve food too. Staff seemed a little more hesitant serving the tasting thimbles but I had asked for quite a few! The newest branch to open with around 65 taps and not open 24 hours. By the time I’d visited this branch, there were some duplication between branches. Another bar in the Piw Paw / Kufle i Kapsle area. 17 beers and fairly basic food. Yet again, a good selection. 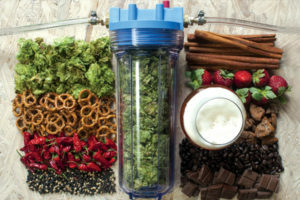 Lots of good information listing the beers and styles etc. Smaller pricing measure: better than good! Yet another bar near the others in this area, but even though the address is Nowogrodska, it’s not actually on Nowogrodska – you’ll find it a few doors up on the pedestrianised area towards Aleje Jerozolimskie. There’s only 10 beers and they don’t do tasting glasses like the others in the area. However, they don’t seem to have caught on that with some of the beers, the price per ml for a smaller glass is cheaper than a bigger one, so if you prefer a pint, you’ll pay more! Staff not as knowledgeable as other places but a nice little bar with a good vibe. An interesting place and only over the road from the Novogrodska crowd. I arrived just before closing time but the guy serving was happy for me to score another couple of beers while he was tidying up, although he spent more time chatting and trying to improve his already excellent English! Seemed quite a nice place. Beer range seemed to feature some smaller, rarer Polish breweries. Part of a chain of identikit brew pubs. Shiny brew kit, female waitresses in Bavarian style outfits… When I arrived, they’d already stopped doing food but it looked at. Beers very average. Not a lot to say really! Yesterday, I visited the Bermondsey Beer Mile (here’s a map). I’ve heard a lot about it so thought I’d see what all the fuss was about. For the uninitiated, much of the railway line out of London Bridge is built up with arches underneath. Some of these arches are road and pedestrian tunnels but most are small businesses – including a number of breweries and beer ‘places’. I followed the route the opposite way round to most of the maps, so jumped on a train to South Bermondsey which was ‘interesting’ as Millwall were at home and that’s the nearest station to their ground! I missed out Fourpure – sorry guys! Nothing against your beer but you’re slightly off route and I was already pushed for time, so first stop was EeBria to try a couple of beers from Orbit as they had a tap takeover. Good beers, reasonable venue and had a nice chat to Orbit’s brewer. Next stop was a few arches down at Partizan. I like their beers generally – a good selection of styles and aren’t afraid to do crazy things with fruit, herbs and the like. However, first grumble of the day – they only served beer in two-third pints. I didn’t want two-thirds – I wanted one-third. What if I wanted just a half. No – I had to drink the measure they wanted me to have. I still had one though and took away a couple of bottles. Not too much further was Brew by Numbers. I was looking forward to visiting there as I like their beers but unfortunately, and grumble number 2, was the queue. Yes, it’s great that they’re doing well and people want to visit, but a queue that was snaking out of the brewery and had at least 40 people in it was crackers. There weren’t that many staff serving so it was moving very slowly indeed, so I opted just to get a couple of bottles to takeaway as that had a separate queue. If you’re always that bust, and I’m told you are, then why not do something about it? Put extra staff on; become ticket only; do a Kernel and not open at all. 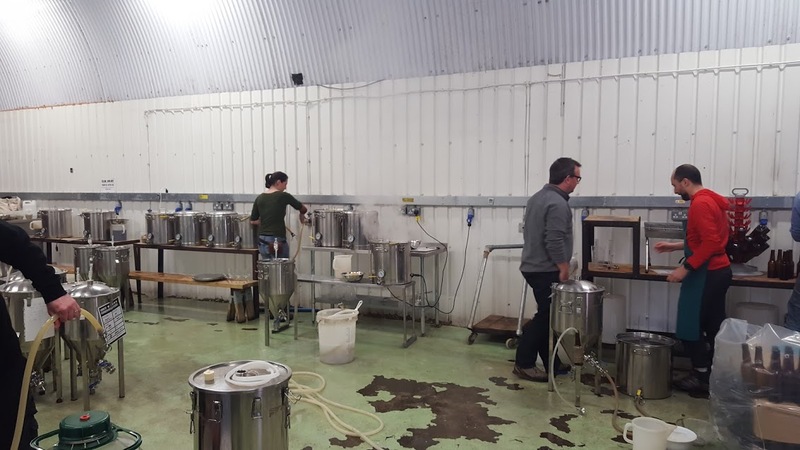 On the opposite site of the railway but via a walk via the nearest tunnel, was UBREW – a different concept with them renting out small scale brewery equipment, space and expertise to allow budding brewers to pop along and brew their own beer – home brew I suppose, but not at home. They did have some of the bottles brewed there on sale, but they weren’t priced. The draught beer were all brews from elsewhere and a repeat of grumble 1 – beer only served in two-third pints. After UBREW and on the home stretch was The Bottle Shop. They had a really good selection as well as Moor beers on draught (tap takeover) along with a few others. Good news as they offered beers in sizes the customer wanted, apart from the really strong ones which were only available in smaller measures. One beer I chose only had prices for half and pint, but they were happy to serve me a third – thanks! 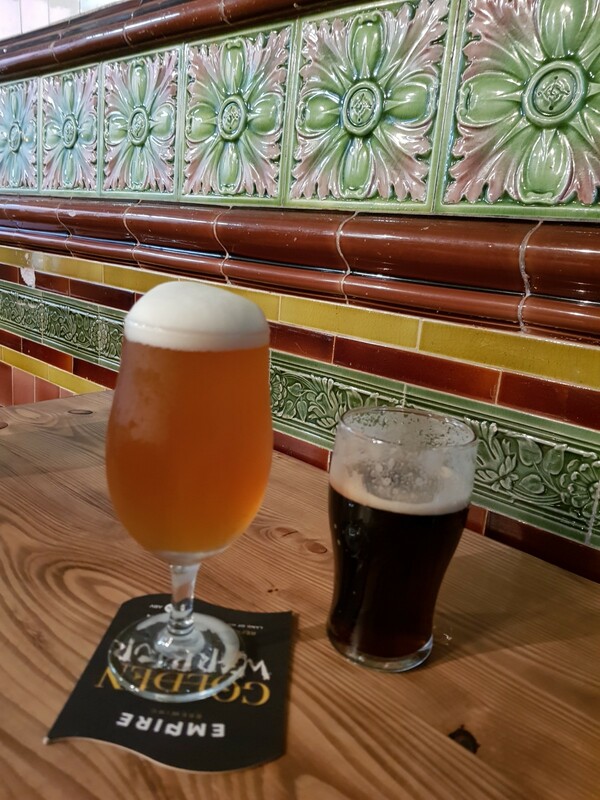 Anspach & Hobday – spot the stout! A couple of doors down is the Anspach & Hobday brewery. Again, beer in whatever measure you wanted and I opted for three thirds as there were some really exciting sounding beers – I had Experimental IPSaison, Sour Dryhop and White Coffee Milk Stout. If you’d closed your eyes and drunk the latter, you’d have sworn that it was dark! 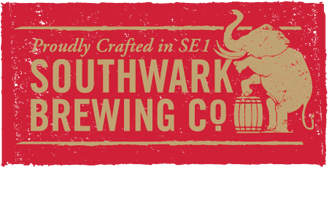 Last stop was Southwark Brewery. These were a bit different as most of their beers were cask – nearly every other during the day had been keg. Again, beer in any size the customer wanted and plenty of space to sit down. 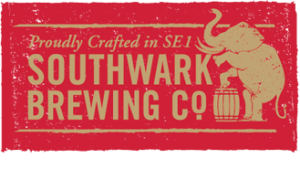 There was something about Southwark though – it was so much more chilled than most of the other venues. 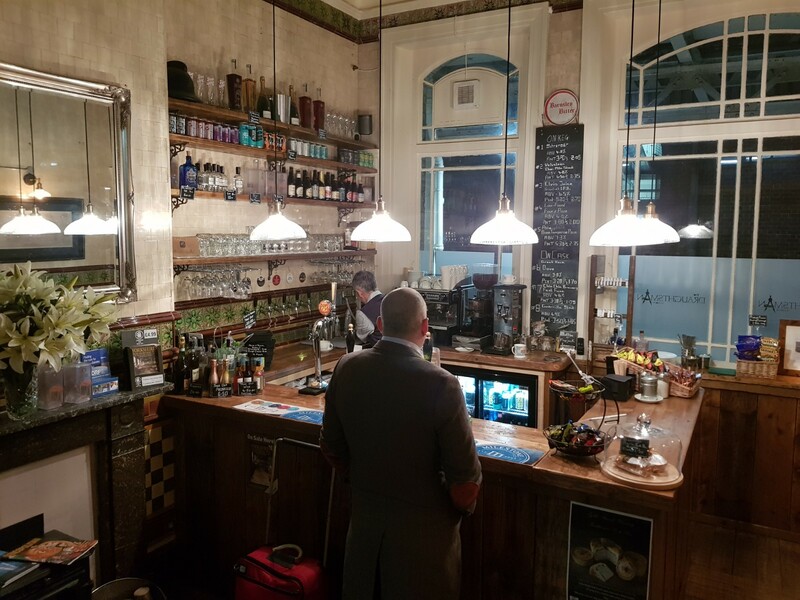 Their beers weren’t necessarily the best – I’m not saying they were bad but the quality everywhere was good but for me, a good beer experience is not just about the beer – it’s about the venue, staff, ambiance, toilets and so on. As Stonch said in that blog post – ‘beer bloggers Boak and Bailey reported on this phenomenon, quoting beer enthusiasts whose noses have been put out of joint by “boozy stag dos” and “huge groups of lads getting pretty drunk”. I’ve done the Mile twice, and on both occasions that was certainly our game: getting hooned up on a sunny day’. Yes, I saw all of that, along with people who were just ‘there’ – they clearly there to be seen. In one venue, a tweed jacketed youth came in with two pretty young women – only he had a beer and at that didn’t really didn’t seem to like either. They had no interest what so ever. To one extent or another, that was pretty much the same everywhere to one extent or another, apart from Southwark. People were there for the beer, not to be seen. So – would I go again? Maybe. Bearded hipsters I can put up with. People who don’t really enjoy being there I can’t. Brewers / shops – employ extra staff if you need it and serve beer in glass sizes that people want, not that you say. I like Leeds. There’s an amazing selection of pubs within minutes of the station. In fact, out of these 7, the furthest one is no more than 3 minutes walk away! Yes, there are other great pubs but when I do my Leeds mini-crawl, these are the ones that feature. Why bother trekking further afield or visit a festival – there’s nearly 100 beers available! One of the Leeds city centre outlets for Leeds Brewery beers and also brews their own lager on site. A reasonable selection of beers but can get very busy. For the last two years, Friends of Ham have been my top UK beer ticking pub! No mean feat when you consider it’s a half hour train ride away. A great choice of beers and knowledgeable staff. Prices aren’t the world’s best, but not really much different to others in the area – you might pay more than you would normally, but then you wouldn’t neck a something like an 11% stout! The tasting trays can work out to be excellent value, especially for the stronger beers. On the other hand, you pay for what you get- usually great beer served by people who know what they’re on about (gormless staff is one of my gripes – see this post). Certainly the biggest venue in my mini crawl of Leeds, this place doesn’t do things by halves. 27 draught beers, 100+ bottles, pizzas freshly cooked in a proper pizza shiny pizza oven, oh – and they brew their own beer on site. Again, an excellent range of beers – sometimes too good and they sadly don’t sell third pints, except for the strongest beers. Once again, great staff who know what they’re on about. Bit of a change here at The Griffin. All the other pubs so far have been part of the ‘new wave’ beer movement. This place is definitely more old school. It’s owned by the Taylor Walker group. Quite often, the beers aren’t uncommon but it still has great 1870s architecture. Wowee – what do you get if you mix beer (mainly keg) and Indian street food? Bundobust! Now, I’m still not entirely convinced about mixing spicy food and beer, but these guys at Bundobust do it remarkably well. The food isn’t your standard run of of mill ‘Indian’ but more authentic South Indian vegetarian food. Back to the old ‘great beer and great staff that know what they’re on about’ again. Just watch out for the beer on the permanent Mikkeller tap – it can be pricey! Bit of a strange mix this one – it’s more of a traditional boozer that has a number of keg taps, but tend not to be new era British keg beers but rather more run of the mill Belgian, German and American ones – not that there’s anything wrong with these. Yes – knowledgeable staff. And – the final pub on the route (or the first if you go the other way round) is the Scarbrough Arms. Definitely one of the old breed of boozers but as can be expected in a Nicholson’s pub, not a bad beer choice at all. Sadly, not in keeping with the knowledgeable staff though- with some of them it’s quite difficult to get them to understand your order. One plus point is the Nicholson’s mobile app that gives cut price beer! Beer count: 43 cask, 54 keg. 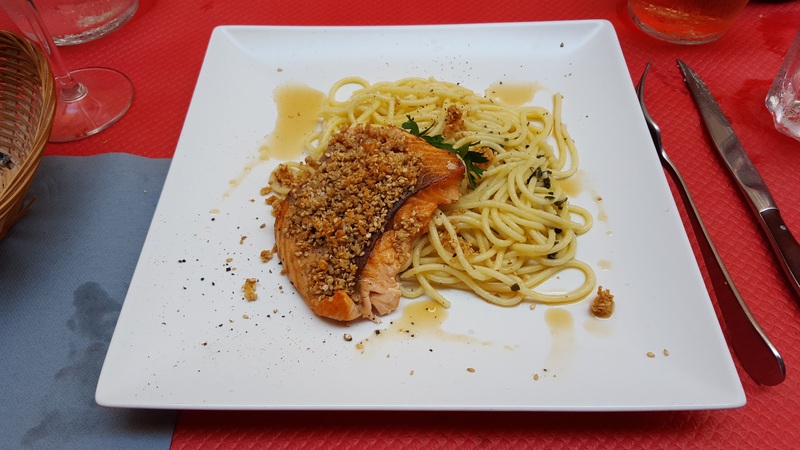 Grand total – 97! An old work colleague, Shaun, decided to move the Czech Republic a few years ago. He’s put his time there to good use and produced this excellent guide to Czech beer – download it at http://travelbeerfood.co.uk/files/czech15.pdf. My first trip to Poland since the beer revolution started. Arrived just as the member of staff was opening the doors to be met by a waft of stale smoke and damp. Dark and dingy, this rock bar may appeal to some but wasn’t quite my cup of hertbata. They’ve got a reasonable selection of beers though at competitive prices. Visited here last year as well as this and on the face of it seems to be a reasonable bar. This year though, the staff were a bit surly – very old school Polish and when I tried ratebeer.com’s current number one Polish beer, it was just thrown into the glass and the all important sediment left in the bottom. They’ve got a great range of bottled beers but for some reason they wouldn’t tell me who brewed the house beer, apart from it was a brewery near Poznan. Would I visit again? Last year I would have said yes (and I did!) but now? I’m not so sure. It’s easy to be overtaken in a fast moving world such as this. One of the older, more established bars over in Kazimerz. I’ve been in twice and always seems so quiet. Staff seemed a bit surly but again the beer selection was good. Another of the bars that have been at the craft beer game for a bit longer. A nice bar, seems quite quirky with great staff and once again a good selection of beer. Running out of things to type now! Only thing to let it down is once again the pricing for smaller measures. Difficult to find – through an archway, round a corner and down some stairs. Apart from a couple of ‘fizzes’, all exciting beers are bottles. A fairly reasonable selection but nothing that couldn’t be found elsewhere. There’s supposedly a large selection of pinball machines to play on but I didn’t see them. I don’t know why, but there was just something about this place that I didn’t connect with. Outlet for Pinta beers along with beers from other breweries great food. I had the bigos and it was excellent. Nice modern interior, good beers but yet another let down by silly pricing.